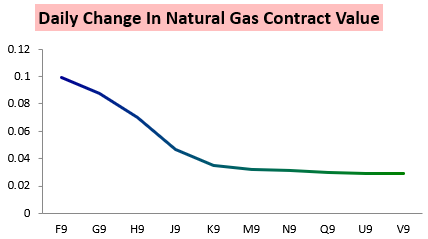 It feels like we say this every natural gas contract expiry, but the prompt month contract went off the board exhibiting quite a bit of strength, with January gas contract rallying 3% despite being lower much of the morning. The role of the January expiry was evident with the January contract leading into the settle, even as the February contract led among the winter contracts for much of the day. 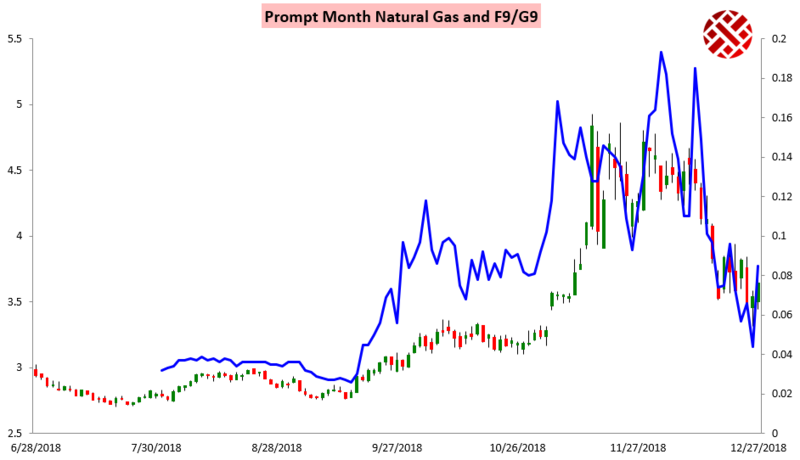 The result is that the January/February F/G contract spread ticked higher on the day, with the January contract expiring almost 10 cents above the February contract (which has sense pulled back further since the expiry). 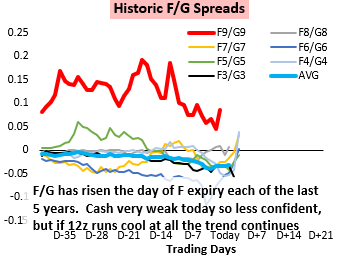 This morning we saw that F/G had risen into expiry each of the last 5 years, and that with any colder risks that would continue this year despite weak cash prices. All it took was a cold end to the European operational model to make it 6 years in a row. 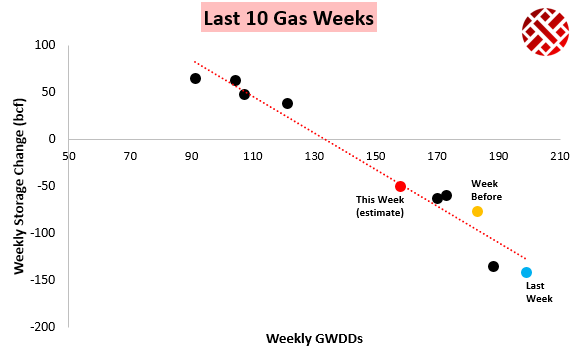 We see more upside risks for gas prices today thanks primarily to what has been a pattern of very strong contract expiries in this current trading environment. 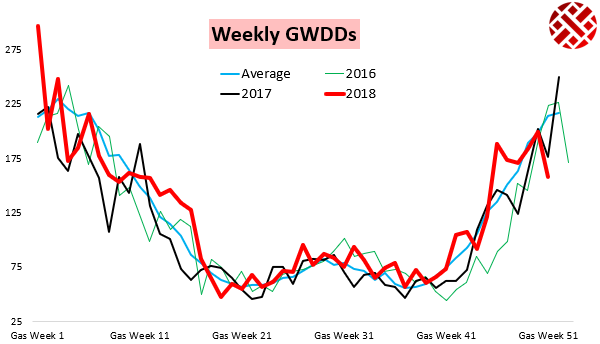 Though the strength seen in the December contract expiry is highly unlikely, there still appear to be enough cold risks in January to combine with the current storage deficit and let the January contract expire with strength. We saw this strength coming despite overnight GWDD losses. 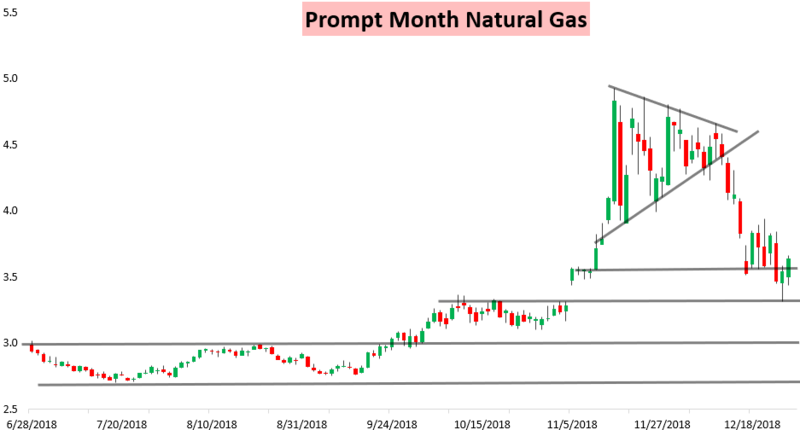 Meanwhile, traders were also preparing for tomorrow's EIA Weekly Natural Gas Storage Report, where a relatively small storage draw should be announced thanks to widespread warmth last week. 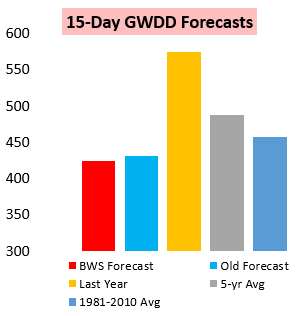 Today we looked at when cold weather could return and what stable moderate El Nino conditions per the CFSv2 climate model mean for the rest of the winter. I thought the report was bearish?